After receiving my Ph. D. in experimental psychology in 1969 from the University of Montana, I started teaching psychology at Ball State University, Muncie, Indiana where I spent many years on the topics of motivation & emotion. 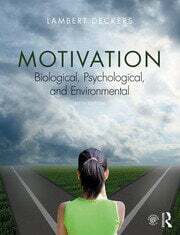 This course was a source of endless fascination and provided the impetus for writing the textbook: Motivation: Biological, Psychological, and Environmental, which first appeared in 2000 and is now in its 5th edition.